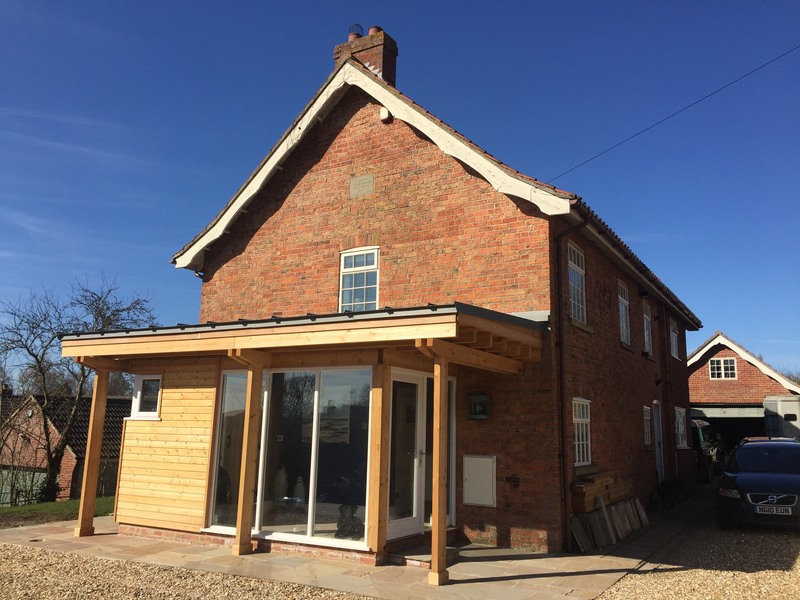 This stunning extension was built using Siberian Larch for the timber frame and cladding. It is such a versatile material with the strength required for the structural parts and the durability for the exterior cladding. It grows very slowly in the vast sustainable forests of Siberia which gives it it's inherent stability. The timber was sourced by Bennetts Timber and machined to the customer's specific requirements in our on-site sawmill. The extension was architect designed by Kate Kelly Architects based in Lincolnshire. If you are considering using larch or any other timber product call the team at Bennetts Timber on 01472 350151 or 01652 658082.